Well lifes pretty tuff over here. 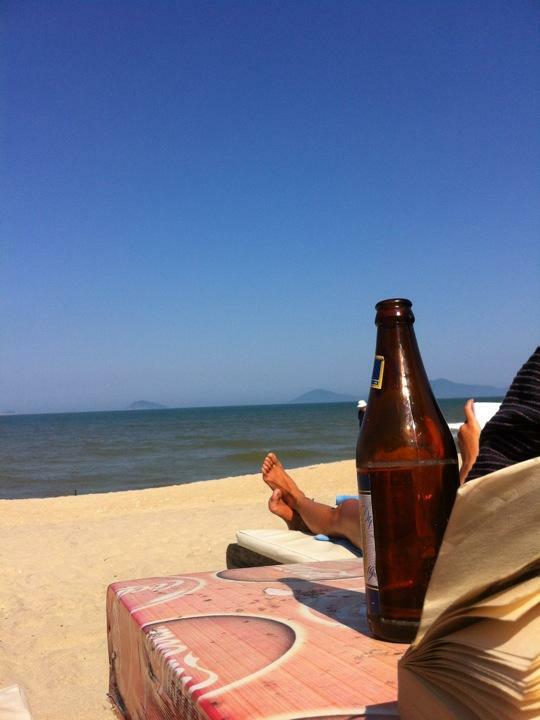 My excersise is doing sit ups to drink my beer which was brought to me while laying on the beach. An walking around shopping and picking up things we ordered the day before. So far we've ha some pretty s*** quality shoes made and tried to get our money back. Not as easy as it sounds! There's flowers and lanterns absolutely everywhere now because of tet! It's so pretty!